With the Cruisers on spring break the team only had one game on the docket for the past week. They loaded up and headed to Washington High School to take on the Patriots in a South Puget Sound League (SPSL) 2A league match up. Both teams brought their bats with them as they scored a combined 28 runs on 26 hits. The Cruisers did some damage in the top of the first inning. After Hailey Rath reached on an error, then stole second base and advanced to third on a passed ball by the catcher, Brooklynn Lucht stepped to the plate and took the first pitch she saw to center field to score Rath. The Cruisers scored a couple more runs in the inning to take a 3-0 lead. Haley Olson, who has a class 2A state leading seven wins in the season coming into this game, once again started on the mound. She showed a little chink in the armor in the game. The Patriots fired back in the bottom of the first inning with one run on an error. Eatonville countered after a Rath triple when Mary Chabot hit a hard ground ball to third base scoring Rath. The Cruisers increased their lead to 4-1. Washington took the lead in the bottom of the first when they would plate five runs to take a 6-4 lead into the third inning. The Cruisers scored another run in the second inning and made the score 6-5 before they took the lead for good in the third inning after scoring three more runs. The Cruisers hit nine more runs in the fourth and one run apiece in the sixth and seventh innings. Washington tried to muster a comeback in the sixth by scoring three more runs, but it wasn’t enough. The Lady Cruisers went on to take their eighth victory of the season by a score of 18-10. The Cruisers league record is now 4-0, while their overall record is 8-1. 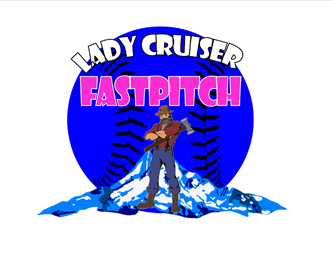 On Deck: The Lady Cruisers will host River Ridge High School on Wednesday, April 10, travel to Graham-Kapowsin High School on Thursday, April 11, and will host Tenino High School on Saturday, April 13, to finish out the week.